If there is one location that you are almost guaranteed a trophy largemouth bass, it would be the Rodman Reservoir. Every year countless of big bass are caught on this incredible reservoir. The remote and desolate fishery makes fishing a true outdoor experience. If you are a trophy bass hunter, Rodman Reservoir bass fishing is the right match for you. The Rodman Reservoir is ranked in the top ten best bass fishing lakes in the country. It is located in Northeast Florida near Palatka and Gainesville. 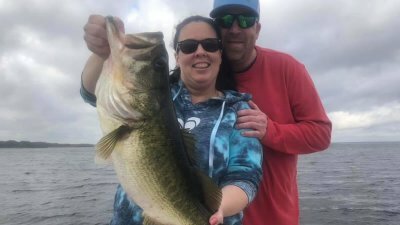 Its trophy status has brought many anglers to Florida in search for their personal best largemouth bass. As a result, fishing on the Rodman leaves you with smiles and an experience of a lifetime. 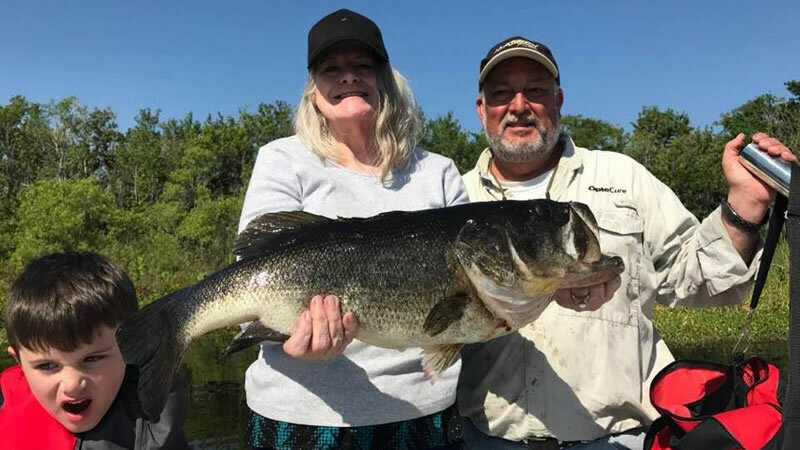 Whether it is a state record or your own record you are after, you can most certainly accomplish it Rodman Reservoir bass fishing. Trophy largemouth bass reside on the Rodman for many reasons. Water temperatures on average are cooler all year round in North Florida. As a result, you have bass that have slower metabolisms making each meal contribute to their overall size. Furthermore, access to this lake is limited making it an untouched fishery. You must have years of experience in order to understand and produce a trophy bass. Therefore, our local experts are your best chance at landing that big bass! The bass fishing here on the Rodman Reservoir almost produced a state record. 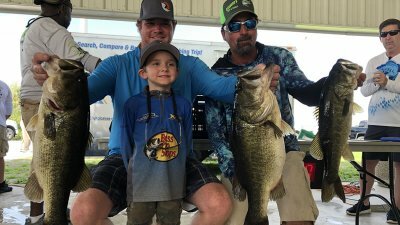 While many lakes in the state can produce trophy sized fish above 8 pounds, double digits is often difficult. The Rodman landed a bass weighing 17.2 pounds, which is an absolute GIANT fish. You do not see fish of this magnitude on a daily basis. 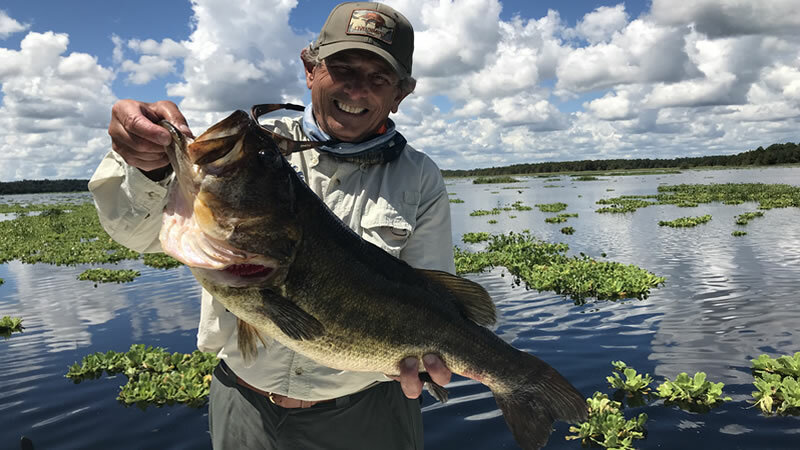 Due to exceptional grass structures including submerged hydrilla, coontail and eel grass, you will find better opportunities to land a big bass. 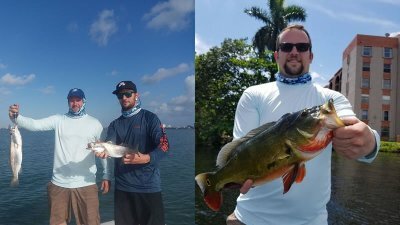 When you visit, be prepared to fish wild caught live shiners under thick vegetation as you call out the biggest bass of your life. Our local experts spent hours, days and years determining the best locations and techniques for Rodman Reservoir bass fishing. Every angler and captain has their preference but live bait is usually the best. Even though you can go out there and catch one on artificial baits, it seems like you will have a better chance with live bait. Captain Ken Walker or Captain Chris Davy can confirm these techniques. They also will confirm that the best times to come fish this lake is when they are drawing it down. Every 3 to 4 years, water management drops the water levels. As a result, grass grows better and the lake naturally cleans itself. Consequently, this is another reason why big bass can grow to their proportions. If you are looking to catch that Florida Trophy Largemouth Bass, don’t miss out on fishing the Rodman Reservoir. Spawning season is generally the best times to come which range from December through April. 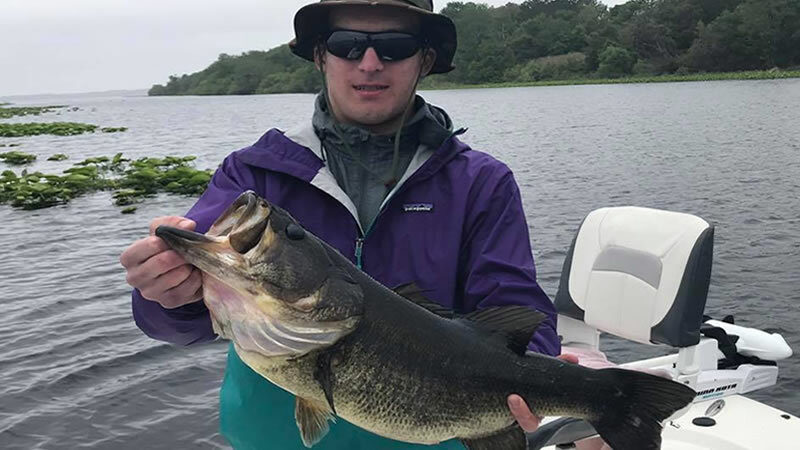 Bass reach their full weight during these times. We look forward to putting you on the biggest bass of your life. 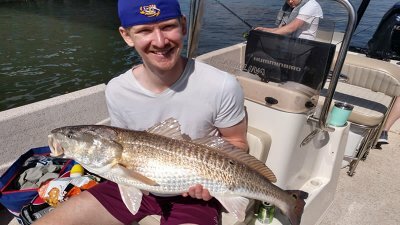 The time is coming quick to cash in on your outdoor fishing adventure here in North Florida! Your Adventure Starts Today while Visiting North Florida.